Many visitors to the Riviera Maya contact us to ask what they might bring down from the United States or Canada to help the efforts of local animal rescue groups. Tierra de Animales, an organization we featured in our 2011 12 Days/12 Ways campaign, has published a wishlist of needed items that can be purchased up north at a fraction of the cost charged in Mexico. 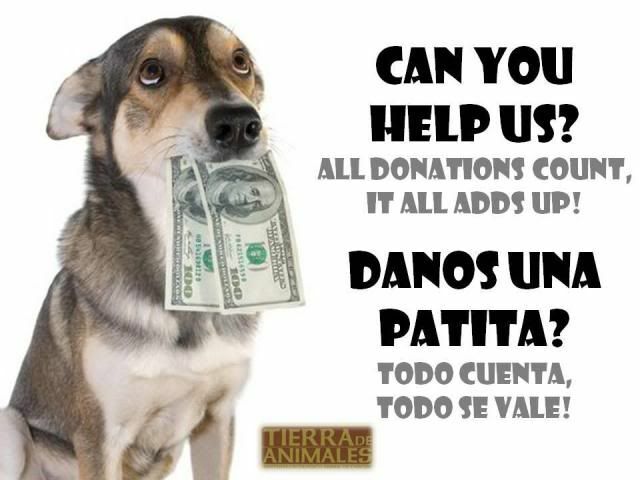 Cash donations for medical supplies to be purchased by Tierra de Animales volunteers in the US and Canada are also appreciated. Most items are much less expensive in the US and easy for volunteers to bring down. Ongoing monetary donations are also needed for food and the purchase of airline approved dog kennels/carriers to transport adopted dogs to their new homes and families!! Thank you! *Plastic kennels/crates for airline travel, med-large sizes!!! !